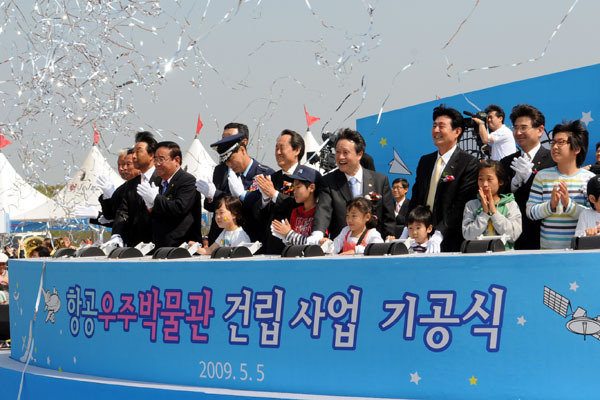 The ground breaking ceremony for the Jeju Aerospace Museum was held May 5 at the site near Seogwipo. There was an air show over the future site of the Myth and History Theme Park, at Anduk-myun, Seogwipo, against the backdrop of gorgeous green tea fields. Approximately 3,000 guests, including Lee Kye-hoon, the Korean Air Force Chief of the General Staff attended the ceremony. Last July the Air Force invited applications for the location of the museum from local governments and Jeju was selected as the preferred candidate. The Jeju Development Center, along with the Jeju Special Self-Governing Province, was the chief negotiator to spearhead the project. On Feb. 11, the JDC finalized the contract to establish and operate Jeju Aerospace Museum which is set to open in 2013 as part of the new Myth and History Theme Park. Some opponents felt Jeju may not be an ideal choice for an aerospace museum due to lack of infrastructure in the surrounding area, which is largely farmland. However, an Air Force official urged them to reconsider and noted that in 2013 when the museum opens, the number of potential visitors to Jeju would be more than 7 million. 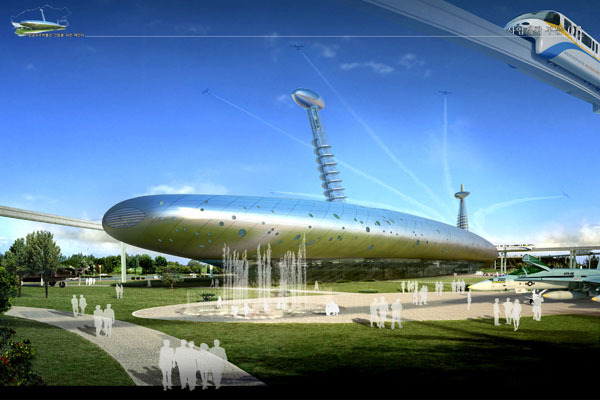 The Jeju Aerospace Museum will be designed in the shape of an aircraft. The two-story building will feature a Korean Air Force History Exhibition Hall, Space Hall, 4D Theater, 4D Planetarium, and Training Center. The JDC is considering a museum which will provide a hands-on, educational and entertaining experience, rather than a simple observation museum. Outside the museum, there would be five theme zones featuring aircraft and an Air Force exhibition. This area could include a monorail, eco-path, military airbus, spaceship model and a driving path. An aircraft-themed hotel is also slated for the sight. The JDC, the Jeju Special Self-Governing Province, and the Korean Air Force will share responsibilities for the museum. JDC will plan the project, construct the museum, and establish and maintain displays such as planes and equipment. The Air Force will support the construction and operation of the museum. The Jeju Special Self-Governing Province will support administrative procedures, permission, and smooth implementation of the project. According to the JDC, the Jeju Aerospace Museum is expected to boost Jeju tourism, promote the Air Force, and inspire the spirit of inquiry of young people.